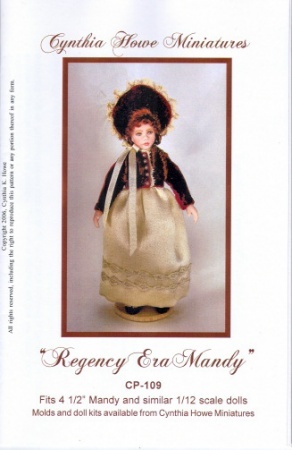 Darling regency era costume pattern for 4 1/2" Mandy. Includes shoes, stockings, pantaloons, slip, skirt, jacket and bonnet. Easy to follow, step by step instructions, full size pattern pieces, zip storage bag, and color photograph. Price includes postage in the US.